Protective Lining - Soft, seam-free lining design with extra foam padding eliminates pressure points, and offers unsurpassed comfort and protection. 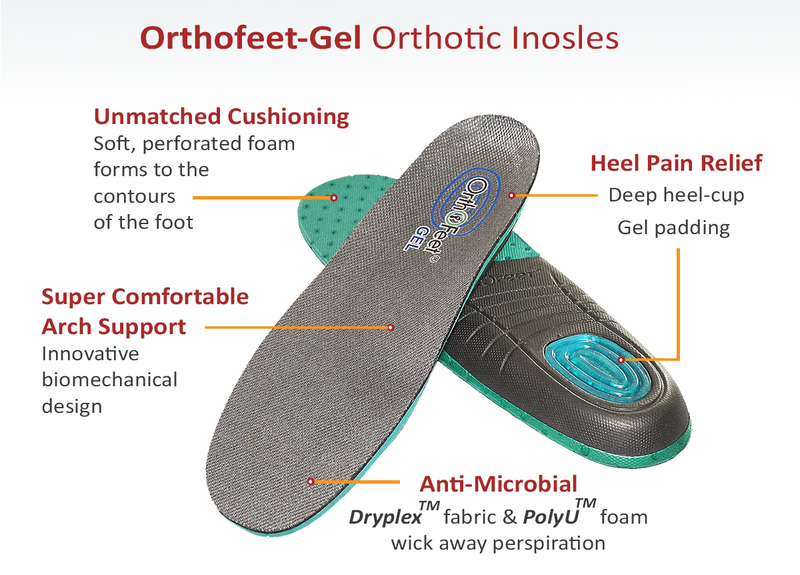 Performance Insoles - Designed with anatomical arch-support and contoured heel-seat to help relieve heel-pain and foot discomfort - making every step you take soothing with comfort. 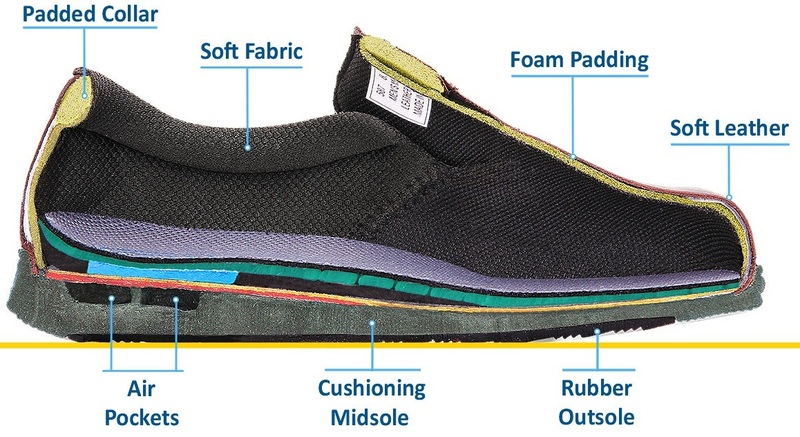 Cushioning Soles - Light weight soles with Ergonomic-Stride design soften step, and help propel the foot forward. Soft, Non-Binding Uppers - Non-binding design along with elastic uppers offer a relaxed fit and eliminate pressure points. Tie-Less and Two-Way strap systems - offer a fast and easy method of fastening and unfastening the shoe.